The restaurant business is fiercely competitive and without the proper course of action, your new restaurant could easily become just be another statistic. Some people have a rather naive idea of the restaurant business and still have a “build it and they’ll come” mentality. But times have changed and restaurants that succeed these days have to excel on different fronts at once if they want to separate themselves from the competition. 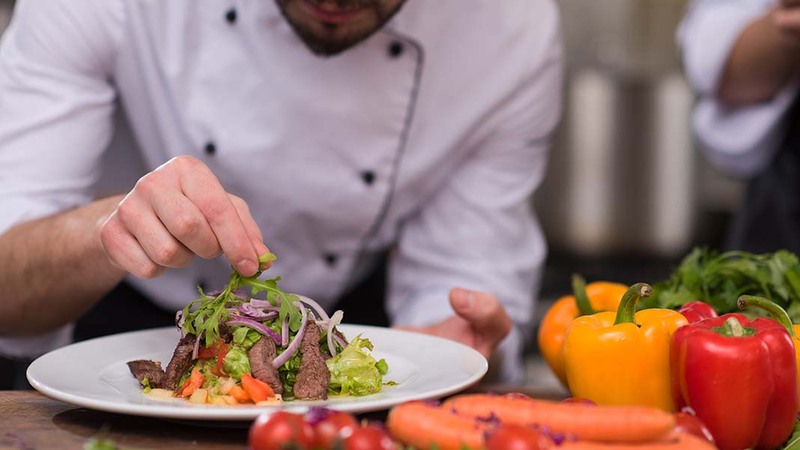 In this article, we’re going to give you some simple tips that will increase your chances of success in the restaurant industry. With the sheer number of dining options available and the savviness of the current client base, you have to be ready to go above and beyond and be remarkable in at least one area. It all starts with the food, but sometimes, it takes a little bit more. Some might try to be everything to everyone and go for variety instead of focusing on their forte. But this is a huge mistake. Keeping a tight ship is much more difficult when you have literally hundreds of items on your menu. Some dishes are rarely ordered, but you always have to keep the ingredients on hand in case someone does order them. Having to train chefs becomes more difficult and you may have to hire classically trained chefs instead of cooking your own food. Focus on the one thing you do best and make it your restaurant’s specialty. Have a small menu with a few vegetarian options, that’s it. This will allow you to concentrate your efforts better and will facilitate purchasing and staffing as well. Some people may not be able to get the spot they want and will try to brand themselves as “destination restaurants” instead. But the truth is, success in the restaurant business is all about accessibility. Sure, you can call it a “destination restaurant” all you want, but it’s hard to make it a destination if nobody can actually get there. The most popular restaurants are accessible on all levels—price point, brand, and location—and that’s what you should be aiming for with your restaurant as well. If you’re going to spend in one area, make sure it’s where it adds the most value to your guests. You can’t afford to go cheap on service, decor or equipment. You should always be making decisions based on that, even when hiring staff. Instead of trusting your eye for candidates, you could hire people from a staffing agency like Staff Heroes. Waiter and waitress jobs are posted all the time and you’ll get the chance to access a pre-selected talent pool instead of trying out potentially bad staff that might ruin your brand image. Instead of trying to spend extra money on things like marketing or advertising, why don’t you treat your clients instead? Comping your regulars is a great way to build loyalty. It also greatly enhances the experience and makes it much more personal. There’s nothing better for a guest than knowing that the chef sent something over for them especially. This will build a closer relationship with your clientele and ensure that they’ll bring their own party over whenever they can. Try to sell the most to those who are sold already; the better you treat them, the more word of mouth and buzz you’ll be getting as a result. Opening a restaurant is one thing but building one that lasts is another. Make sure that you follow the few tips in this article if you want to separate yourself from the rest and make a mark on your local food scene. Marcus Turner Jones graduated in Economics from the University of Sheffield before pursuing a career as a Market Analyst in London. He has his own website, Turner Jones Finance, and writes freelance from Buenos Aires with his dog, Luna. Follow him @MarcusTurnerJ or email marcusturnerjones@gmail.com.